Finally I can talk about this project, which has been in the works for what feels like years! I decided that since it’s been five years of running this blog, I’m ready to take my work to the next level. Enter: The Radical Doula Guide. I’ve been working on this guide for a few months now. 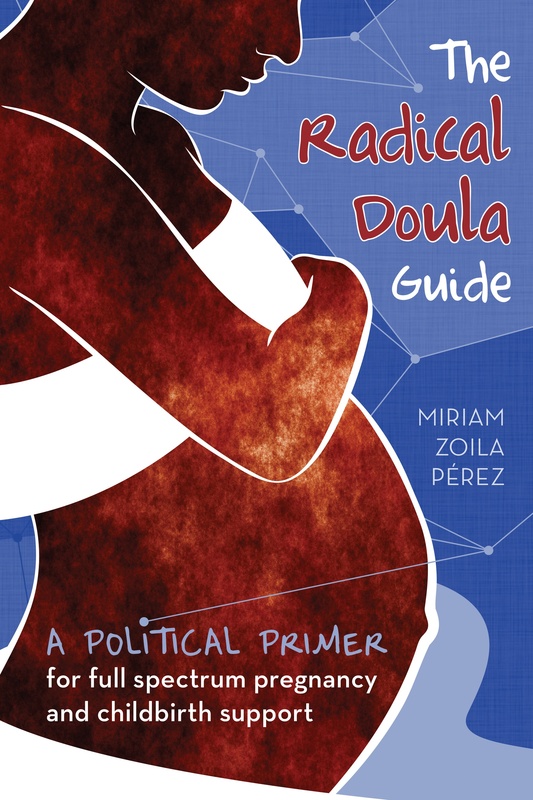 It’s meant to be a resource for new doulas, would-be doulas, and pretty much anyone interested who wants to learn more about the political context of doula work. It’s going to be awesome, and I’m hoping it will help enrich this amazing community of doulas that is growing everyday. Doulas can really make a difference–but only if our work connects to a broader movement for social justice. I’ve just launched a fundraiser for the guide on Indiegogo as a way to get the resources I need to finish it. I’ve got a solid draft, a really amazing designer, and now all I need is the funding. The guide isn’t going to be a rehashing of this blog in booklet form–it’s entirely new content, meant as a starting point for doulas who care about social justice and want to understand how their work fits in. It feels really big to me–this is the first time I’ve invested so much energy into a Radical Doula related project, and it’s the first time I’ve ever tried to raise money for one of my projects. This blog has been a labor of love for five years, and now I’m hoping to take it offline and into the world, with your help. You’re going to be hearing more about this in the coming weeks and months, but for starters, please check out my fundraising page and if you can, donate! I’ve got some good perks for donating, including radical doula buttons and copies of the guide. Your support means so much. Also: Transcript for the video available here. Awesome! I look forward to the guide! What you’re doing is fantastic, Miriam; congratulations and the best of luck to you! I am grateful to Rosa Perelmuter, a dear friend of mine, for sharing your blog with me. My four sons were BORN AT HOME, and I have been giving support to women in all aspects of child rearing for about 30 years (sounds older than I really am! ); I guess that makes me a doula… I will pass your information on to my female gynecologist, as she too has been dedicated to guiding and helping underrepresented people throughout her career. Of course, my more-than-two-cents donation will follow. So excited to see your new work, I nominated you for the WordPress Versatile Blogger Award! I hope your writing can reach a whole new audience. Aloha. Awesome! Please keep us posted as we will definitely want a copy or two! Thanks so much for your activism and resources.